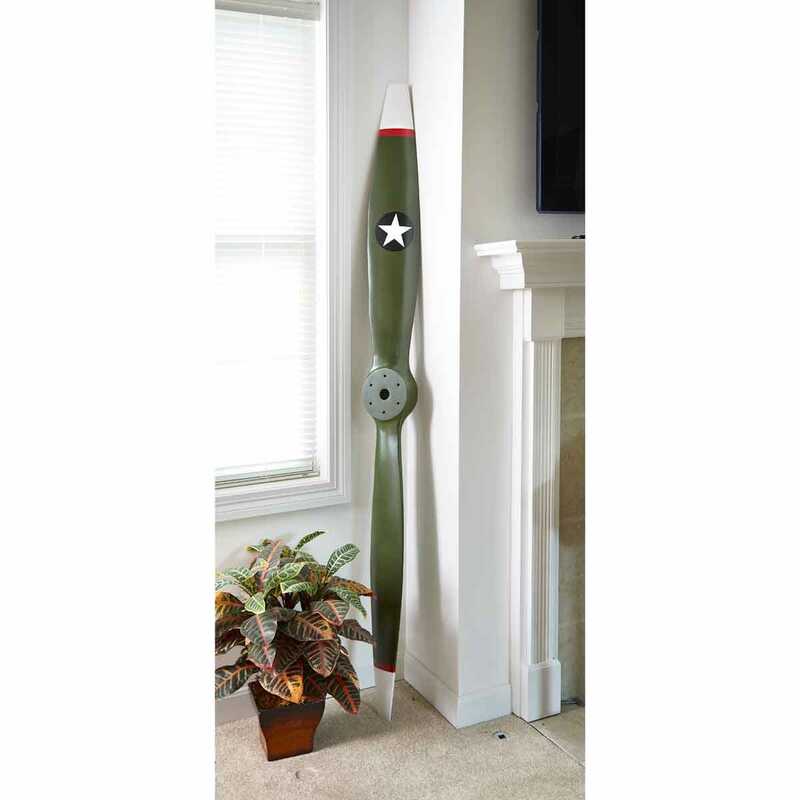 Hand-crafted from mahogany wood, this WWI Army Propeller is unique and features hand-painted olive blades with a white star on one prop blade, and white tips with a red stripe. Established as an independent but temporary branch of the U.S. War Department in WWI, the United States Army Air Service was officially established in 1920. Propeller measures 6’ long and about 7.5”w. Includes hanging hardware.